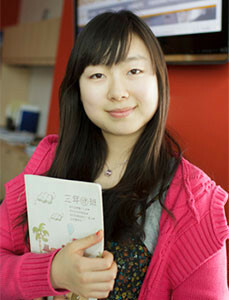 "I am from China, and I am majoring in Finance. I work with Ms. K as an International Mentor. My friends here call me Diana. I decided I wanted to become a mentor when I was a freshman because my coordinator, Ms.K, and my mentors helped me a lot. In this unknown place, I was especially appreciative of them, because I could not have adapted quickly without them. Therefore, I decided to apply as an international mentor—to do the same thing as my mentors—to help new international students better adapt in the U.S.
"At the same time, I have learned a lot. One of the most significant things I have learned was students from different cultures have different etiquettes. Also, they may have different kinds of problems. We need to stand in their position, and try to figure out the best solutions for them when they need help. "This experience will become a cherished memory in my life. Penn State Berks was not my first choice. I had no idea about this small campus. However, after I came here, I really appreciated that I made this decision. This is very small campus. You only need 5 minutes to walk from the dormitories to the classrooms. Your professors know your name and you can stop by their office without lots of transportation. You know your classmates and you can actually make good friends. It is a home—a big family for us. 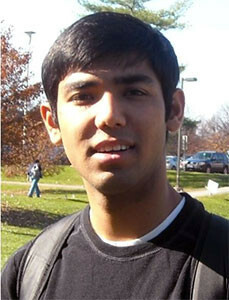 "Because I came here alone as an international student, my international mentors and coordinators helped me a lot. I adapted to life here without having so many troubles. I love this place. I love its small classroom size; I love my mentors and my coordinator; I love my friends; I love faculty members and my professors who helped me a lot." "I chose Penn State Berks because of the small tightly knit community between the students, professors, and staff. Students are able to make personal relationships with the professors and they are willing to help us work toward success. They are there when you need them. "The class sizes are small; you get to have more one-on-one time with the professors. At Penn State Berks, you get 'real world' experience to prepare you for after college. "There are so many services available to the students such as Career Services and Health Services, to name a few, and they are there to fulfill your needs. "Penn State Berks is an all-around institution for success in academics and athletics."